Surely one of the best hot trends in food to emerge in the past year is gourmet doughnut shops. Now Frisco has one of its own: Detour Doughnuts, a hidden gem that opened in on FM423 in West Frisco in July. With its next-level coffee and extensive menu of doughnuts and more, it's a bonus for the neighborhood near Frisco Lakes. 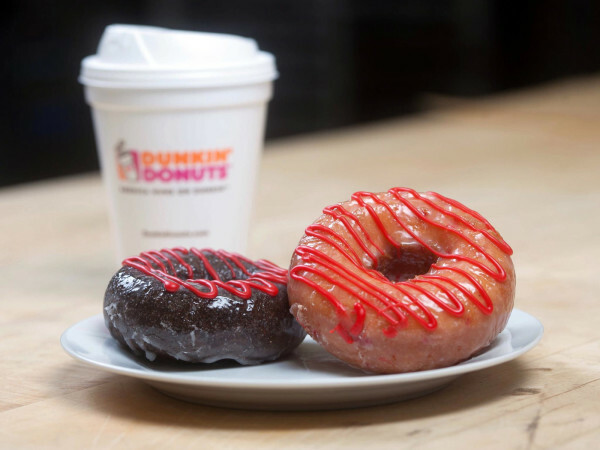 But the gourmet doughnuts also make it a destination for foodies and doughnut fans. Also, they spell it properly, doughnuts, and not ugh "donuts." Snaps for that. Owners are husband and wife KJ Park and Jinny Cho, a young couple with roots in the restaurant world. Park is a cousin to acclaimed sushi chef Jimmy Park, and Cho's family owns a number of traditional doughnut shops. Cho is taking all that she learned from her family's business and giving it that little gourmet something-extra. The shop boasts an impeccable interior design, and their doughnut toppings are made with best ingredients like whipping cream and fresh fruit. "I graduated as a biomedical engineer, but my parents have had doughnut shops for a long time and I grew up with that," Cho says. "My dad was sick for a while, so I helping out my parents even more after I graduated. I also worked at a bakery and learned some of their techniques. With Detour, it was important to me to make sure the food is good." 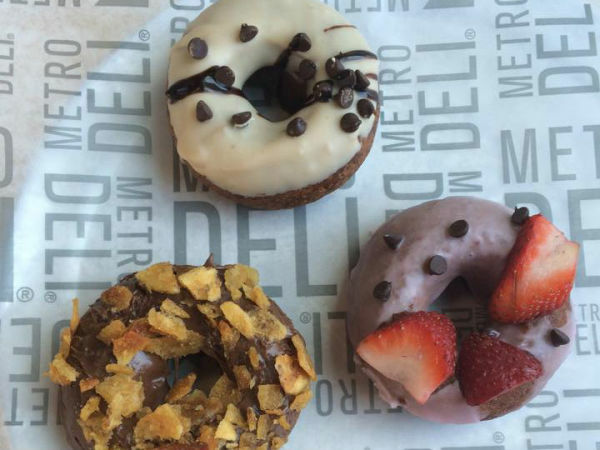 Detour does your standard glazed doughnuts, cake, old-fashioned, minis, and doughnut holes. They do old-school apple fritters and doughnut topped with colorful sprinkles. They also do custom orders where they'll fashion doughnuts into letters that spell out birthday greetings. 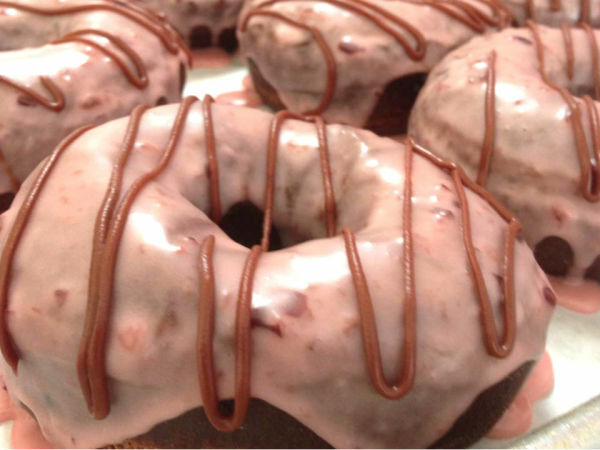 But they also do the fancy stuff: chocolate raspberry doughnuts, or lemon poppyseed and lavender, or mint chocolate. Their pecan pie doughnut is a round raised donut tossed in cinnamon sugar, with pecan pie filling and brown sugar buttercream on top. There's a strawberry cheesecake doughnut with strawberry cream cheese filling, topped with graham cracker crumbs and a fresh strawberry. There's a peanut butter-and-jelly doughnut that's a raised square, dipped in peanut butter icing, filled with raspberry jam, and topped with roasted peanuts and fresh raspberries. 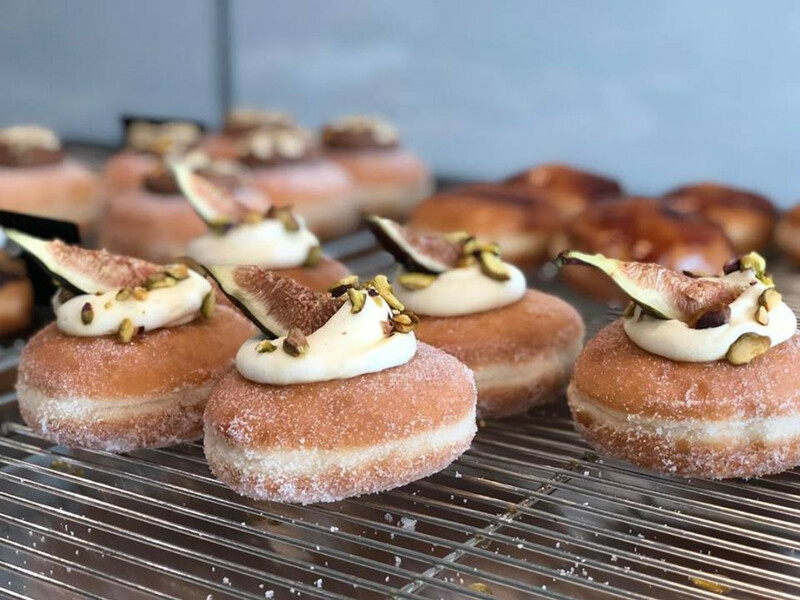 There's a doughnut filled with mascarpone cream, topped with honey, crushed pistachios, and a slice of fresh or dried fig; and a Key lime doughnut dipped in Key lime icing, with Key lime buttercream inside, topped with cinnamon graham cracker crumbs and slice of lime. Their big seller is their creme brulee doughnut, which has a crackly coating and comes in regular size or the extra-popular mini. They also do macarons in flavors such as hazelnut, vanilla, matcha & yuzu, and mint chocolate. They only do those on dry days, as the humid weather interferes with the macaron shells, and they don't want to sell something that isn't their best effort. In addition to doughnuts, they sell tacos delivered fresh every morning from Tacodeli, for those who want a real breakfast item and not just a doughnut. Their coffee comes from local roaster Oak Cliff Coffee, and their cappuccinos are made on a La Marzocco, the Rolls Royce of espresso machines. They offer unique flavored espresso drinks such as a golden lavender latte, or an iced matcha latte made with real matcha powder and honey. One of the compliments they've received from customers is that their doughnuts are not as sweet as some of their competitors, and that is by design. "I initially had a difficult time getting the flavors to come through over all the sweetness and sugar, because you have to add so much sugar to get a certain consistency," Cho says. "I compensated by using more cream which makes our doughnuts a little less sweet but with more pronounced flavors." The shop has received a warm reception from the neighborhood, and the couple could not be happier about that, Cho says. "I live in the neighborhood, my parents live right round the corner," she says. "We have a senior living community right behind us and they love our doughnuts. I know a lot of people in the area, and I love that I get to serve this community."